What is the Art Bead Scene all about? Art Bead Scene is an interactive blog with the goal of uniting bead artists of all materials and the jewelry designers who use art beads in their work. The blog has published daily since March 2007! To us, art beads are incredible, tiny works of art made by hand from the finest materials by some of the best artists in this country and around the world. We think art beads are the heart of excellent jewelry design, and we celebrate the artists and products that agree with us. *Current events and trends in the bead world. *Interviews with bead artists and jewelry designers who use art beads in their work. 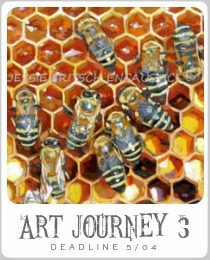 *Reviews of new products, books, and stores that carry art beads. *Tutorials of projects you can whip up right now. *An exciting monthly design challenge with prizes from our sponsors. 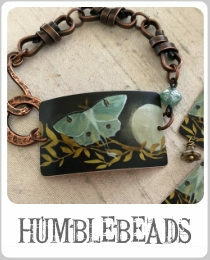 *Perfect Pairings every Wednesday with a Featured Designer and the Featured Bead Artist(s) used in a piece created for the monthly challenge. *Amuse the Muse featuring a weekly round up of beads and supplies around a monthly theme. 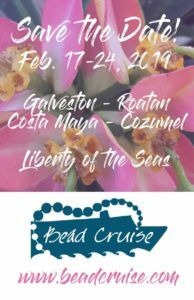 Plus a gathering of BeadBlogger posts from the week. *Inside the Studio, each Friday one of our Editors offers a peak into creative spaces and happenings with a chance to win prize.